The Secret Diary of Steve Jobs : Hey Japan, you just don’t get it, do you? Hey Japan, you just don’t get it, do you? 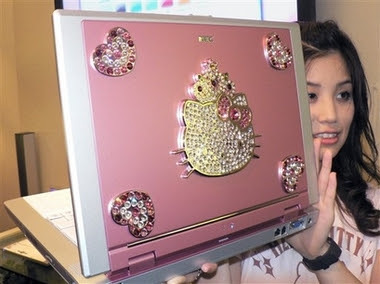 NEC is touting this pink Hello Kitty laptop as a machine for “working women.” I’m not making this up. See here. Much love to the reader who alerted us to this travesty.